Jesus, Moses, the Buddha, and other great teachers were all born with a brain built essentially like anyone else’s. Then they used their minds to change their brains in ways that changed history. Written with neurologist Richard Mendius, M.D., and with a Foreword by Daniel Siegel, M.D. 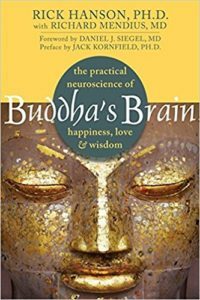 and a Preface by Jack Kornfield, Ph.D., Buddha’s Brain: The Practical Neuroscience of Happiness, Love, and Wisdom joins modern science with ancient teachings to show you how to have greater emotional balance in turbulent times, as well as healthier relationships, more effective actions, and greater peace of mind. Get the nutrients your brain needs to maintain a good mood, relieve anxiety, sharpen memory, and strengthen concentration. If you can change your brain, you can change your life.